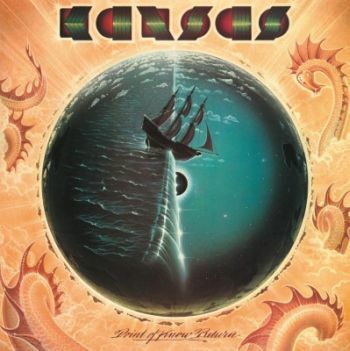 KANSAS - POINT OF KNOW RETURN VINYL (LP) | Online Shop | Wizard LTD. Album: "POINT OF KNOW RETURN VINYL (LP)"
Back in 1977, the LP Point Of Know Return marked the commercial peak of Kansas. The Progressive Rock band had experienced tremendous success with their previous release (1976&apos;s Leftoverture) and were no longer starving for a hit, yet the sessions for their fifth album were tense. Steve Walsh briefly left the group in the middle of these sessions. Nevertheless, the LP turned out an even bigger success for the band than its predecessor. It would be their highest charting record and with four million copies sold, it was certified Quadruple Platinum by the RIAA. The tour to support the album brought them to huge venues such as New York&apos;s Madison Square Garden and the LA Forum, with the tour book including an essay written by Rolling Stone contributor Cameron Crowe. The band became a staple on FM radio at this point, and during this period was one of the most popular rock acts in the country. "Dust In The Wind" became the hit single off of the album.